Liverpool winger Mohammed Salah surpassed Real Madrid star Cristiano Ronaldo as Europe's top goal scorer on Tuesday. Salah netted a brace against Roma in the Champions League semifinal as his team overwhelmed the Italian team 5-2 at the Anfield. The goals were the Egyptian's 42nd and 43rd goals across all competitions, seeing him jump to the top of a continental goal chart this season. Ronaldo, who will play against Bayern Munich on Wednesday in the semifinals' other matchup, has 42 goals, while Barcelona's Lionel Messi has scored 40. Liverpool boss Jurgen Klopp was clearly impressed by Salah's finishing, which saw him open the scoring with a beautiful curling left-foot shot into the top corner and then double the advantage with a perfectly executed lift over advancing keeper Alisson. "The first goal is just a genius strike, he scored already a few like this, so that makes clear it is no coincidence," he told reporters. 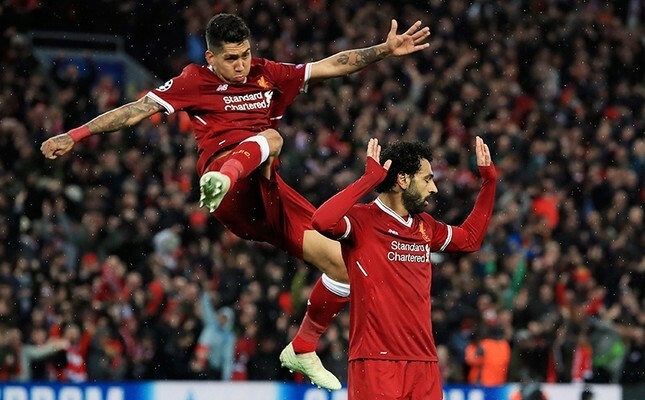 "The second is brilliant play, Bobby (Firmino) between the lines and he (Salah) makes the play. Then he makes the other two goals," added Klopp, referring to Salah's assists for Sadio Mane and Firmino after the break. Salah also broke Samuel Eto'o's record of eight Champions League goals in a season as he has 10 after the match against Roma. This season's PFA Player of the Year is now only four goals shy of Ian Rash's record of 34 years for most goals by a Liverpool player in a single season. Salah will have at least four more games — five if Liverpool secure their spot in the Champions League final next week — to surpass the all-time club record.